Spatio-temporal patterns of the distribution of crustaceans from shallow hard bottoms along the Alexandria coast (Egypt, Mediterranean Sea) were studied during a complete year cycle and also in relation to potential drivers of change (both biotic and abiotic), including variation in habitat-forming species. Overall, the crustacean assemblages appeared poor, including only 14 species belonging to Amphipoda (five species), Isopoda (five species), Tanaidacea (two species), Cirripedia and Decapoda (one species each). The distribution patterns of crustacean assemblages appeared significantly variable both in the spatial and in the temporal dimension on a rather unpredictable basis, albeit variation was related to changes in dominant algal and invertebrate habitat formers. High variability and low species richness observed suggest that the analyzed assemblages are selected by local unfavorable environmental conditions. In fact, the crustacean hard bottom fauna is composed by a bulk of tolerant forms, including the dominant Tanais dulongi, Apohyale perieri, Dynamene bidentata, Sphaeroma serratum, Elasmopus pectenicrus, and Jassa marmorata. Their spatio-temporal dynamics, as well as those of the remaining species, and correlations with the variation of habitat formers and environmental variables are reported. 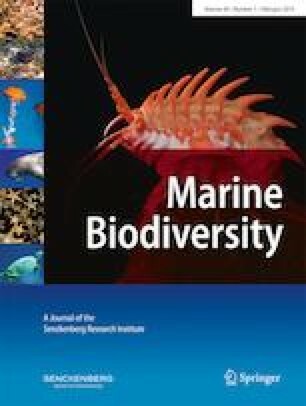 This is a baseline assessment of the crustacean diversity along the Mediterranean coast of Egypt, thus having paramount importance for understanding the predicted future changes of biodiversity for the area. The online version of this article ( https://doi.org/10.1007/s12526-017-0787-z) contains supplementary material, which is available to authorized users. We are indebted to the two anonymous reviewers who greatly contributed to improving our paper. Permits and approval of field or observational studies have been obtained by the authors.